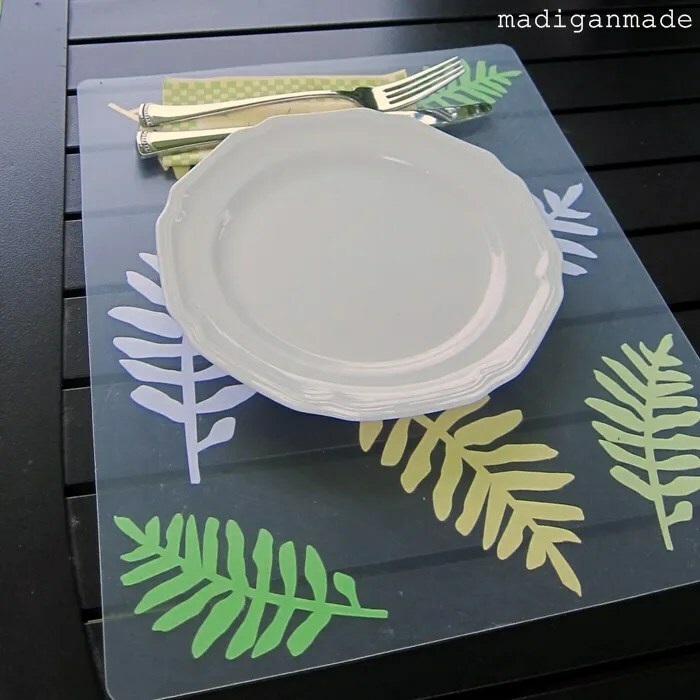 Madigan made… plastic dollar store cutting mats into leafy place mats with decoupage. Since the Fourth of July weekend is fast approaching, I thought that this week I’d share some outdoor and entertaining ideas with you. 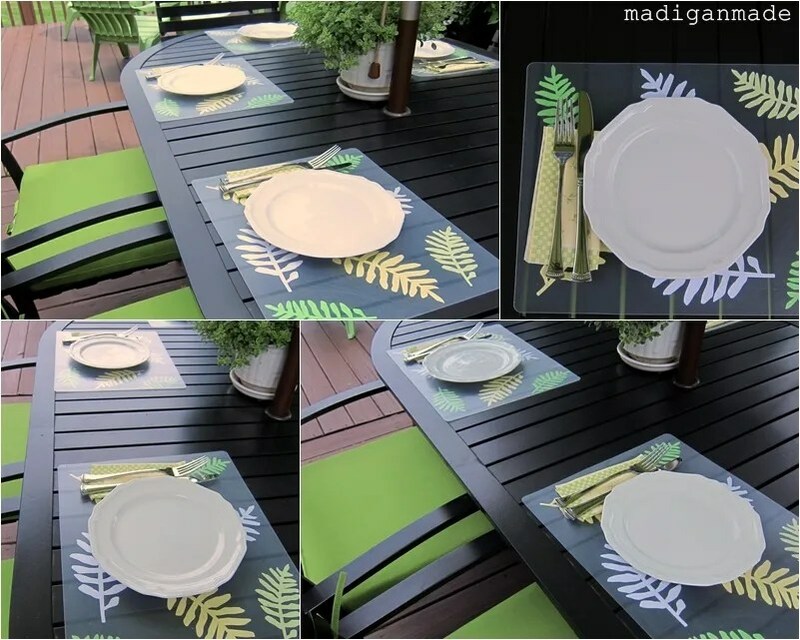 To start off, do you need new outdoor place mats for your patio table? I’ve got a no-sew idea for you! Mr. Madigan and I love eating alfresco on our deck. Sometimes we will eat right on the table, but I usually like to cover the surface. I used to just grab some fabric place mats and that was easy. 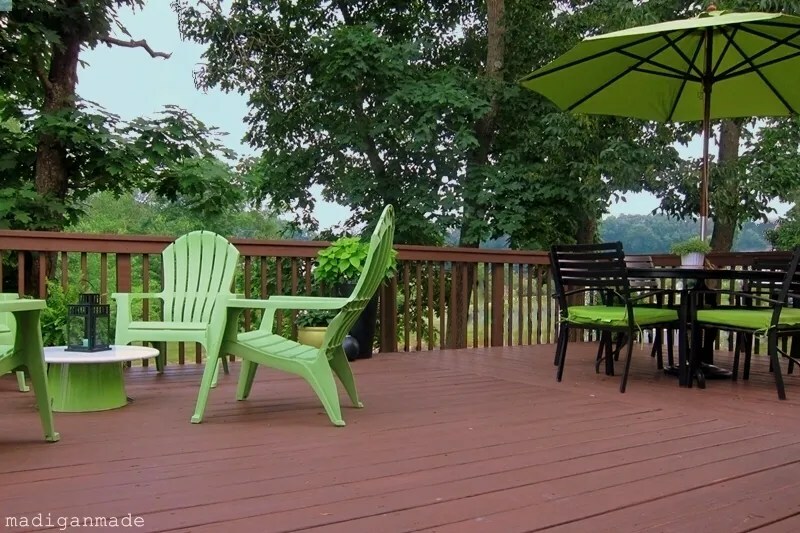 But now that we recently updated our deck with fun apple green accents, I figured we could use some matching place mats. If you remember from that post, I wanted to add a little bit of yellow for another accent color out there, too. 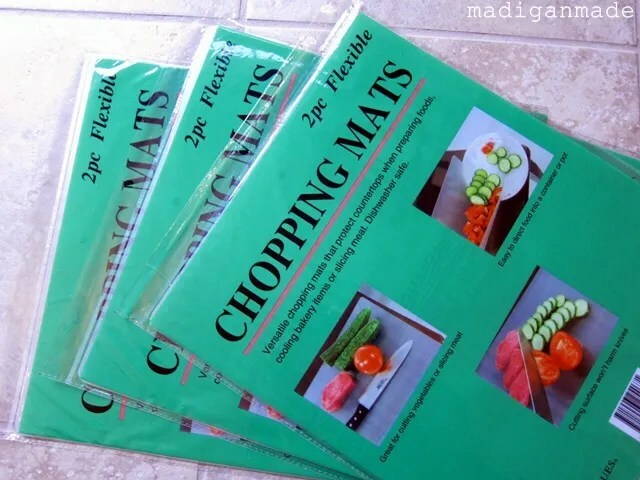 I saw these plastic chopping mats at the dollar store. They came 2 mats to a pack – a whopping $3 for six! They were a perfect size for a place mat. All they needed was a little decoration. Then I just decoupaged the leaves onto the back side of the mat! I used several layers of glue/sealer (ie. 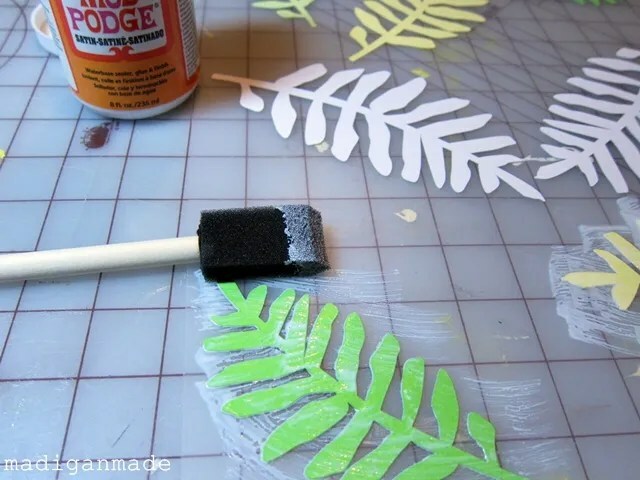 Mod Podge) to protect the paper from moisture. Since you could see they brushstrokes through the plastic, I spread the glue over the entire mat on my last layer. Tip to minimize bubbling: use one layer of glue/sealer between the paper and plastic and smooth the paper out. Allow that to fully dry before layering more Mod Podge on top. And psst…. a little secret… these mats unfortunately came with one hole punched on one side. I just covered the hole with the napkin and no one really notices! I know, plastic is not as pretty as fabric. 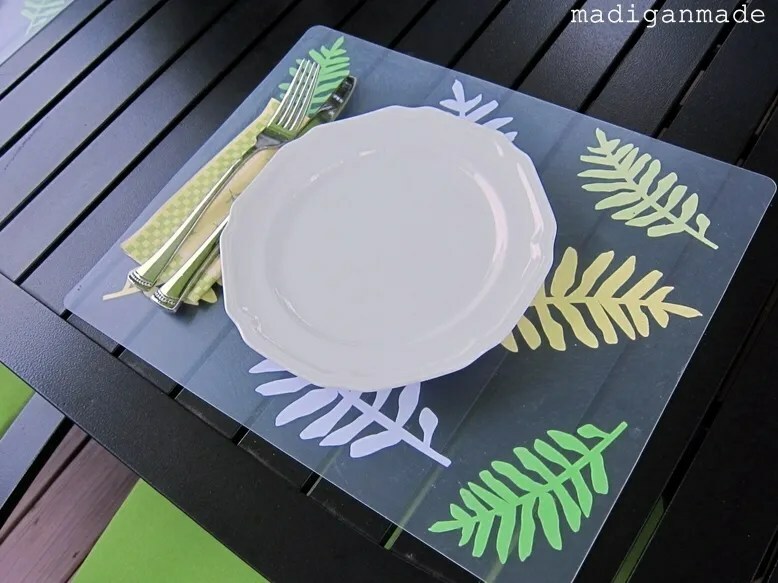 But the beauty of plastic place mats is that they are very easy to clean! I kinda like how they are see-through, too. It looks like leaves are scattered across the table. If these place mats last us through the summer, I think it will be well worth the $3 I spent to make them! Stay tuned for a couple more patio and summer entertaining ideas later this week!